This is an important part of our business in and around the central belt and we have a dedicated team who carries out all domestic and small works contracts. On meeting new clients for the first time we have a consultation regarding the scope of works and submit our proposal to discuss all aspects of the project with them before the works commences. We ensure that the client is kept informed throughout the project, giving them peace of mind that the works are being carried out in the timescale given and in accordance with their expectations. It is of great importance to us that while the work is being carried out minimal disturbance is caused to the homeowner and their privacy is respected at all times. 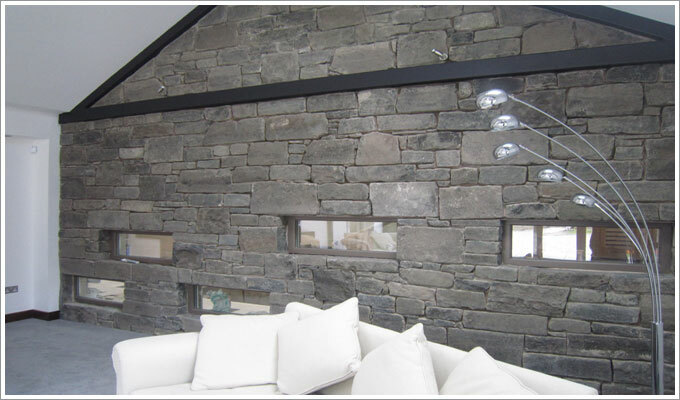 Our team or stonemasons, stone restorers and lime pointers have the experience and knowledge required to complete the works to a high standard. The scope of works can range from something as simple as selective re-pointing with traditional lime mortar to creating new window surrounds and doorways on the existing property, boundary wall and chimney repairs and large new builds and extensions.